On Sunday May 7, paddling enthusiasts will gather in the heart of Canada’s largest urban region to participate in the annual Manulife Paddle the Don event. As participants embark from Ernest Thompson Seton Park and paddle down the river, they will reach the convergence of three watercourses and four valleys at what was known as the “Forks of the Don” (Sauriol 1995: 202). The Forks of the Don, affectionately called the Forks, was perhaps best described by local historian Charles Sauriol as a “giant hub” (Sauriol 1995: 202). Its name refers to the place where three branches of the Don River meet: the East Don, the West Don, and a small stream referred to today as Taylor/Massey Creek. The landscape surrounding the Forks is a wide flood plain with high and steep valley walls. Notable landmarks included a 36-metre-high hill near Don Mills Road, referred to as “Greenland”, “Greenland Mount”, or “Tumper’s Hill”, after the man reported to have built a log cabin on its summit (Sauriol 1995: 206). 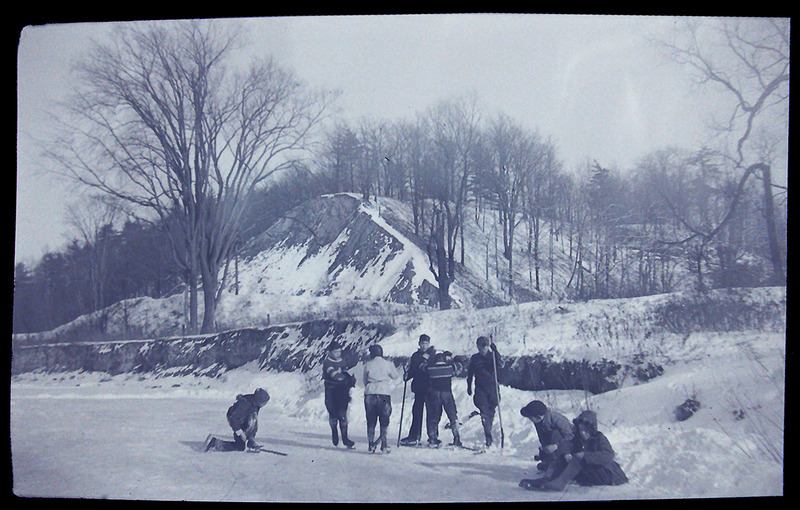 The hill became a local attraction and was used by the YMCA and Toronto Boy Scout clubs for group activities and camping. William Lea of the Lea Family, for which Leaside was named, first arrived in the Don Valley area in 1820 and described Tumper’s Hill as “…a long oblong mount, covered with underwood forming a peculiar feature in the landscape” (Sauriol 1995: 202). 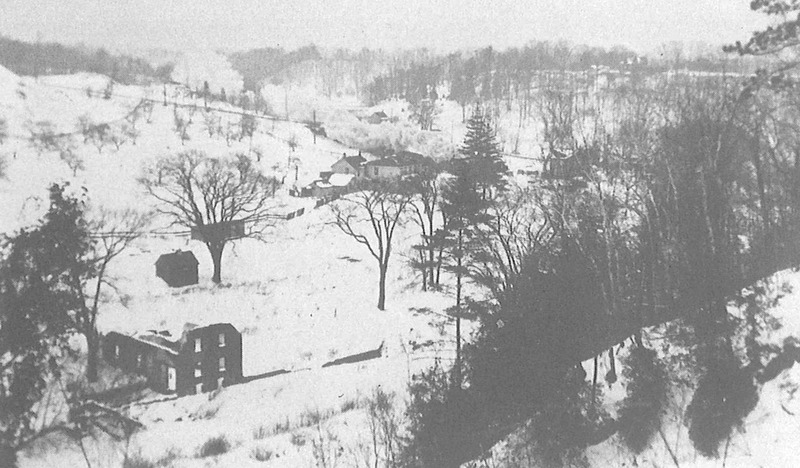 Unfortunately, Tumper’s Hill is no longer visible, as the earth was extracted for fill to build the Don Valley Parkway. The Forks of the Don was home to an industrial complex of mills within the Don Valley. The earliest of these was built by John Eastwood and Colin Skinner around 1829. This mill was later purchased by the Taylor family, and would become the second of three mills along the Don operated by brothers John, George, and Thomas Taylor. The Taylor mills collectively supplied much of the paper for both Toronto and the surrounding area. In his book Pioneers of the Don, Charles Sauriol references an excerpt from Illustrated Toronto, published in 1877 by Peter A. Gross, that summarizes the combined production output of the Lower and Upper Mills. “They supply a very large portion of the printing paper now used for the daily and weekly papers of this city [Toronto] and throughout the Dominion. There is also manufactured at the mills, coloured paper and poster bills, also all kinds of book, manila, roll, expressing, tea and common paper bags, etc. The annual consumption of these factories is something enormous. Hundreds of tons of rags, straw, esparto grass, ropes, canvas, and other enumerable elements used in the manufacture of this useful economy are consumed in these factories” (Sauriol 1995: 175). 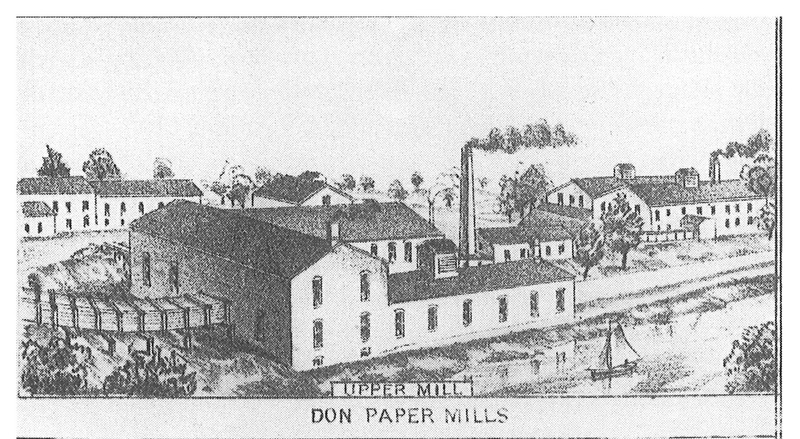 One of their paper mills, the Upper Mill, was situated along the West Branch of the Don River, just north of the Forks of the Don at the south end of a substantial mill pond that covered approximately 30 acres of land. Built in 1846-47, the Upper Mill had a cemented stone foundation, and rafters constructed of 40-foot White Pine timbers. The mill was closed around 1890. The dam used for the associated mill pond was demolished shortly beforehand, to put an end to a series of drownings (Sauriol 1995:195). The walls of the main section of the Upper Mill remained intact until 1930, when a local sawmill owner recognized the value of the White Pine rafters and tore down the rest of the structure to get the lumber (Sauriol 1995: 195). 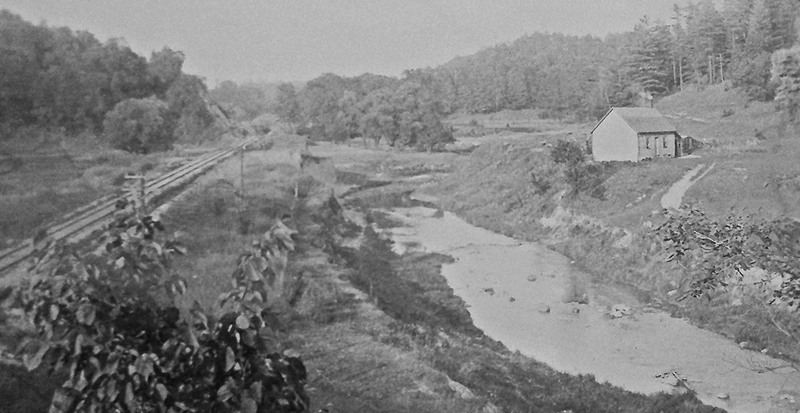 The course of the mill race associated with the Upper Mill can be seen today, cutting through the west valley of the Don to join the stream. An elevated flume brought water from the dam to the mill, where it fed a boxed-in turbine. Taylor/Massey Creek is named after the mill’s operators, the Taylor family. Whether you are in a canoe or walking the many trails along the Don, don’t forget to take a moment to enjoy this natural and cultural gem on our doorstep. Check the TRCA Newsfeed on May 3 for part two of our look at the Forks of the Don, as we celebrate the life and legacy of Charles Sauriol, a champion of the Don River and one of the founders of Toronto and Region Conservation. Written By Loren Scott and Alvina Tam. View the Archaeology web page. Miles & Co. 1878 – Illustrated Historical Atlas of the County of York. Miles and Company, Toronto. NextWhat to Do with a Zoo’s Bamboo?